Coral Ridge Country Club is an upscale neighborhood in east Fort Lauderdale, Florida. Coral Ridge Country Club homes are located on the west side of the Intracoastal Waterway, between the major east/west arterial roadways of Commercial Boulevard and Oakland Park Boulevard. The area features a mixture of waterfront and dry lot homes, as well as the popular Coral Ridge Country Club – home to a Robert Trent designed golf course. Coral Ridge Country Club homes are conveniently located within walking distance to parks, casual restaurants and shopping. 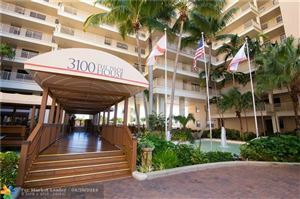 The Fort Lauderdale Beach, Downtown Fort Lauderdale, fine dining, golf courses, top-rated schools and more are only minutes away. Updated Apr 22, 2019 8:56:am. The data relating to real estate for sale on this website comes in part from the Broker Reciprocity Program (BR Program) of M.L.S. of Naples, Inc.. Properties listed with brokerage firms other than those listed on this website are marked with the BR Program Icon or the BR House icon and detailed information about them includes the name of the listing brokers. The properties displayed may not be all the properties available through the BR Program. The accuracy of this information is not warranted or guaranteed. This information should be independently verified if any person intends to engage in a transaction in the reliance on it. Fort Lauderdale listings last updated Apr 22, 2019 9:18:am.